When films are made about sports it is very hard for the makers to keep the film away from clichés. It is almost certain that in the film there will be a moment that the main character will pull through in a sporting event where he is the underdog. Warrior, of course, has some of this element to it, but it somehow remains an enjoyable film to watch and maintains an authentic feel. 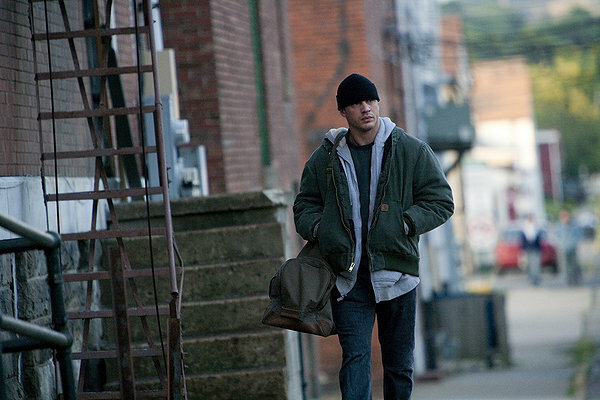 Tom Hardy plays Tommy Conlon who has not fought competitively for fourteen years. He returns to his home town after this time and enters a fighting competition which he is trained for by his father. The two have a broken relationship and Tommy insists that the relationship stays business. 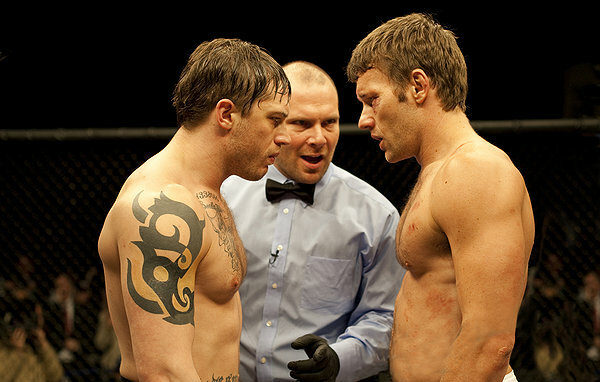 Meanwhile the film looks at Tommy’s estranged brother, Brendan who is played by Joel Edgerton. Brendan is a high school physics teacher but is not making enough money to support his family. He decides that he can make extra money on the side by competitively fighting as he had in the past. Unfortunately the school find out about this and suspend him and now he is left with only the choice to fight to earn. He goes back to an old trainer, whose star player is injured. The trainer agrees to but Joel into the Sparta fight instead. 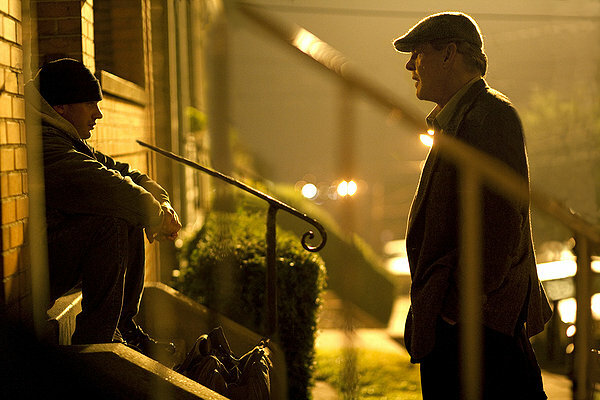 Both the leading characters Tommy and Brendan are people that you feel if you met in the real world you would not like. Tommy is selfish and unsportsmanlike, the fact that they are brothers is very evident in the film as Brendan, while more likeable than his brother, shows no sympathy towards his father. As the film progresses you will find it hard to decide which brother you would like to win the final fight. The characters are brought to life by the actors and you feel that every emotion that they are showing comes from a deep and complex core. They are not only surface characters, but you feel they are people with pasts and feelings. Brendan’s, Edgerton is very well pulled off but there are a few moments when you might notice his accent differs. His portrayal of the character draws you in and you feel sorry for him as he takes constant beatings in order to provide for his family. Not all the characters have such depth and some of the other fighters just seem to be there as opponents to pass, in many ways the audience will be fine with this, they role calls for little more than a difficult hurdle for our heroes to jump over – albeit with some difficulty. The film is shot in an effective documentary style and this really allows you to get behind the leading characters quickly. It also means that when you are watching the fighting you are more than just a spectator in the crowd, but you feel you are in the ring with the characters. Warrior doesn’t avoid sports film clichés, but it is still an enjoyable production. 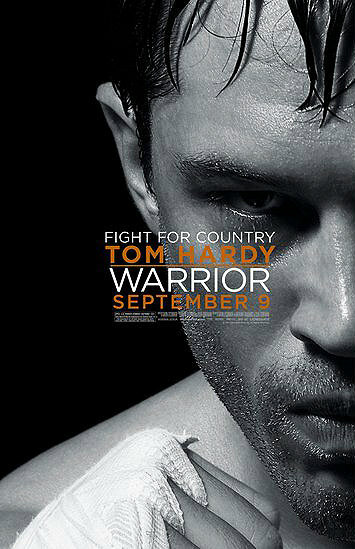 This entry was posted in Movie Review, Movie Trailer and tagged Joel Edgerton, Tommy Conlon movie, Warrior Tom Hardy review, Warrior Tom Hardy trailer, Warrior trailer. Bookmark the permalink.